If you’ve been following along, you know that the kids and I recently completed a preschool ocean unit to learn all about the ocean. As part of our unit, I created a number of ocean Montessori activities and put them up on our shelves for several weeks. I am a big fan of Montessori education and I have read a lot about it in order to bring more Montessori style activities to my kids. With these Ocean Montessori activities, I was able to use my kids’ interest in the ocean to get them to practice a variety of skills spanning many areas of the curriculum. 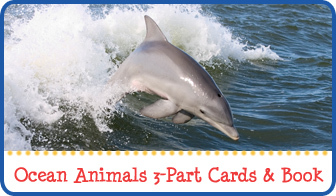 Note: For more resources, printables and activities related to the ocean and its inhabitants, please see my ocean unit study page. As part of our ocean unit, I created a variety of ocean-themed Montessori trays. 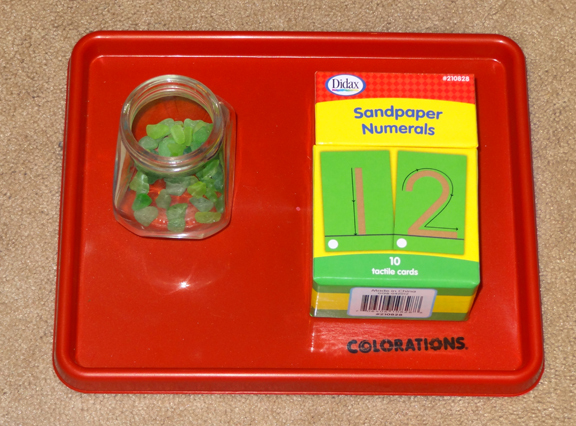 I am definitely a Montessori newbie, so I can’t promise all of my trays adhere to strict Montessori principals. But hopefully you’ll find some inspiration among the trays I prepared for my kids. 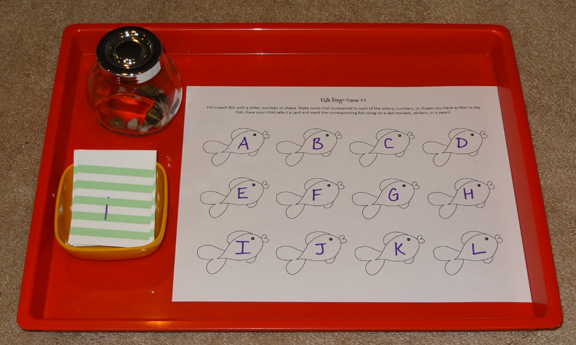 With this tray, QBoy would lay out the letters and then try to match them to animals whose names begin with the same sound. For example, the “S” might be matched with sea lion. The animals came from our Safari Ltd Ocean Toob and from a set I bought from Oriental Trading Company. 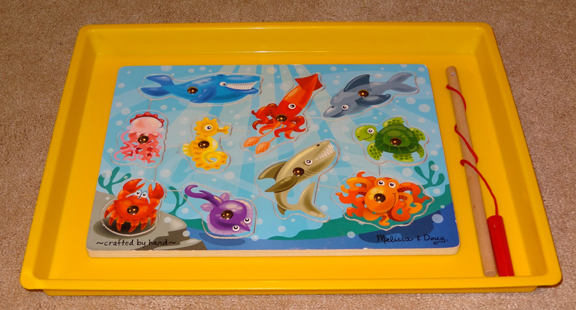 I placed our Melissa & Doug Deluxe 10-Piece Magnetic Fishing Game on a tray. The kids used the magnetic wand to “fish” the animals. As they worked, we were able to discuss the names of the various animals. 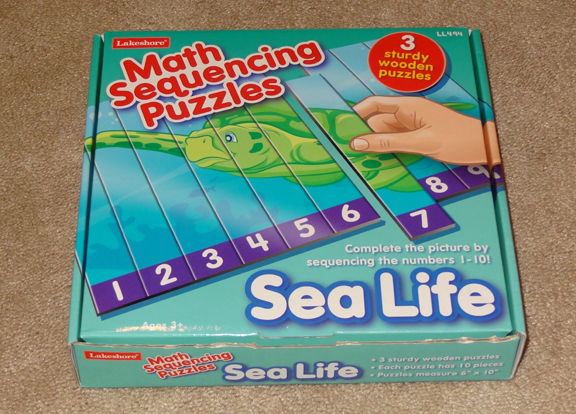 I bought this great sea life-themed number sequencing puzzle from Lakeshore Learning. Kids can put together the puzzle using the numbers at the bottom or referring to the image. 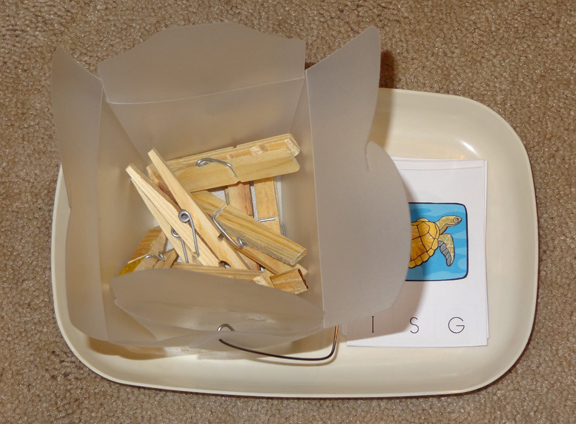 I printed this cute little shell sequencing activity from another blog. Unfortunately, I can’t recall which blog it comes from, and the printable itself doesn’t have the name of the blog anywhere. If anyone knows where this printable is from, please let me know so I can credit the creator! 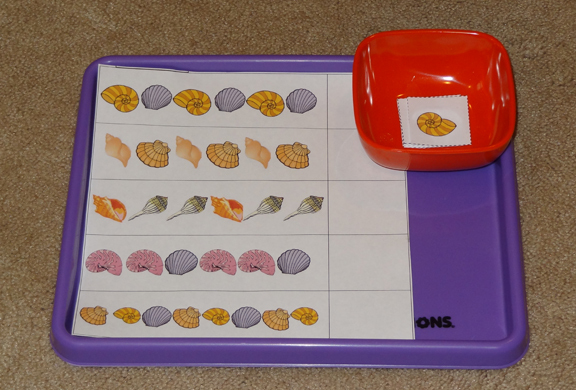 There are several shell patterns, and the kids use the cards on the right to complete the patterns. 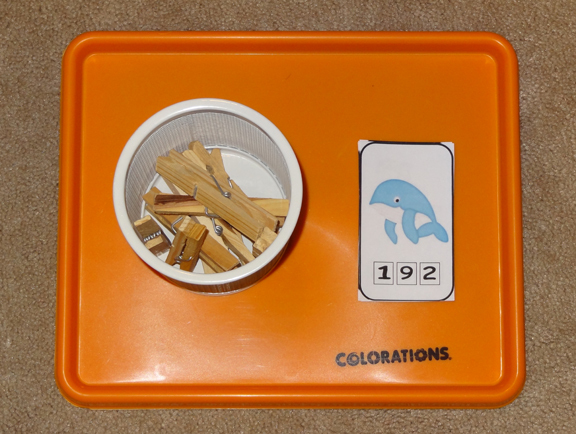 I printed this ocean-themed count and clip game from 2 Teaching Mommies. The kids counted the number of animals on each card and then used the clothespin to clip the corresponding number. 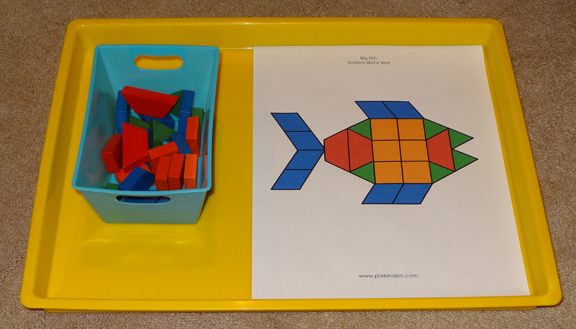 I printed this fish pattern block template from PreKinders. The kids used our wooden pattern blocks to re-create the image on the tray. I created this tray with XGirl in mind. Inside each shell on the worksheet, I drew a different shape. 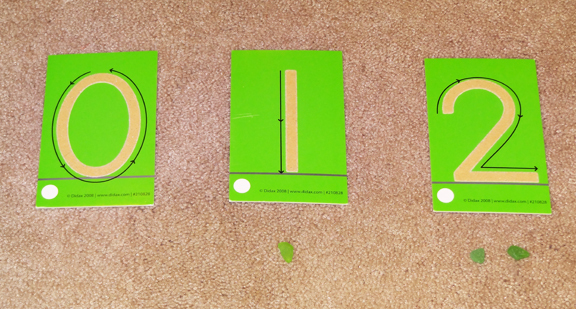 Then I drew those same shapes on cards. 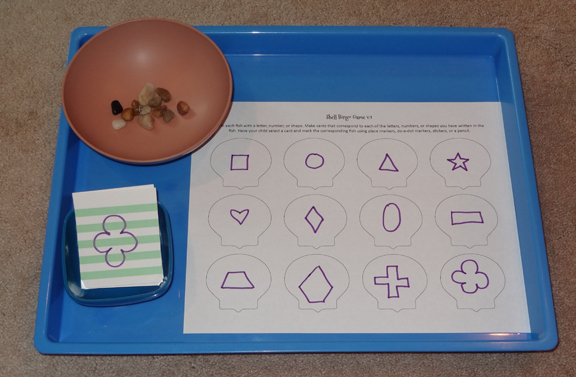 Her task was to draw a card, then place a rock on the matching shape on her tray. I created this tray with QBoy in mind. Inside each fish on the worksheet, I drew a different uppercase letter. I then created cards with the corresponding lowercase letters. 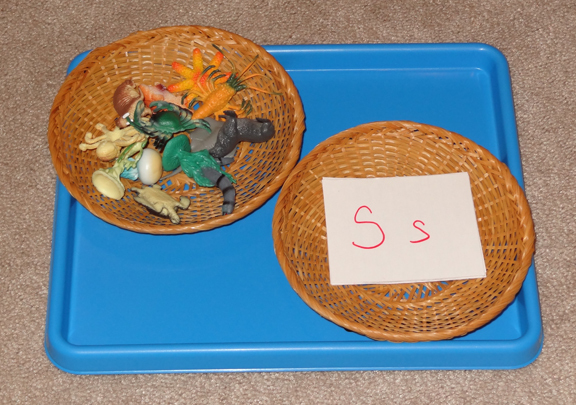 As he drew the cards, his task was to place a rock on the matching uppercase letter on his tray. This was a simple sensory tray. In the bowl on the left I placed a bunch of sea glass, and I filled the bowl on the right with flubber. The kids were free to use these materials as they wished. 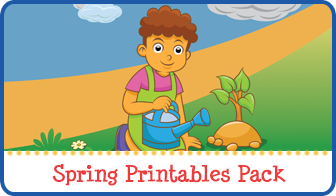 I downloaded this printable from Homeschool Creations. I put clothespins inside the Chinese takeout-style box, and I laid the picture cards on the right. The kids’ task was to identify the initial sound of the animal’s name, and then clip the letter corresponding to that sound. In the basket on the left, I included our ocean-themed stencils (see picture below for better look at the stencils). Also on the tray were some markers and some paper cut to the size of the stencils. The task was to place a stencil on the paper and use the markers to trace the image in the stencil. This was a great opportunity to work on fine motor development and pencil grip. 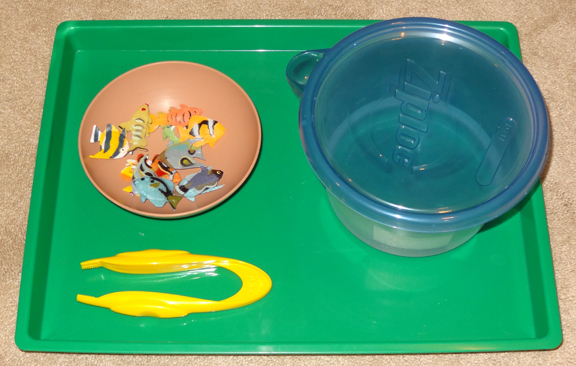 This tray was a simple practical life exercise the required the kids to use the small spoon to scoop “fish food” from the bowl on the left to feed to each of the fish on the right. 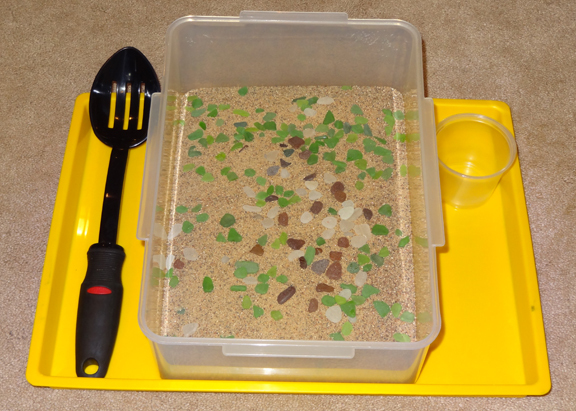 The kids’ task was to use the slotted spoon on the left to sift the sea glass from the bin and then place it in the small container on the right. I placed 55 pieces of sea glass in a small container. Next to this I placed our sandpaper numerals . The task was to lay out the numbers in order, and then count out a corresponding number of sea glass pieces to place under each number. 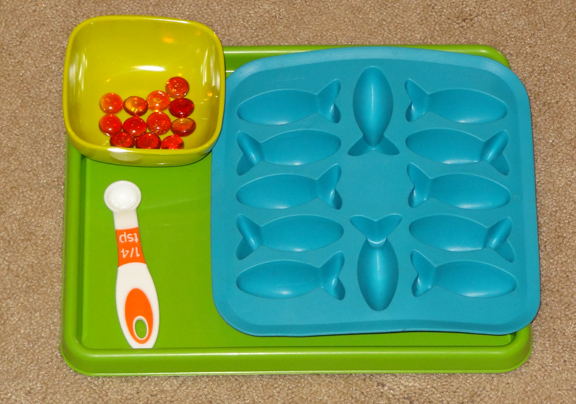 Ocean Montessori tray: Sea animal or land animal? On this tray I printed out pictures of both sea animals and land animals. 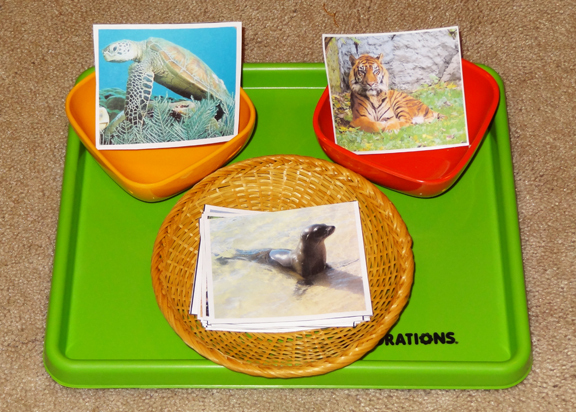 The kids’ task was to sort the pictures into two piles depending on whether the animals were sea or land animals. I hope you found some inspiring ideas from our trays! These are some really great ideas. Pinning this because I’m going to need to remember this when Madison is ready for it. Thank you! What wonderful activities with great descriptions and pictures! The realist in me is wondering what the “after” pictures look like–ha ha! Some of these ideas, like the sea glass and flubber, I wanted to jump in and do myself. Wow! These are all such great ideas! 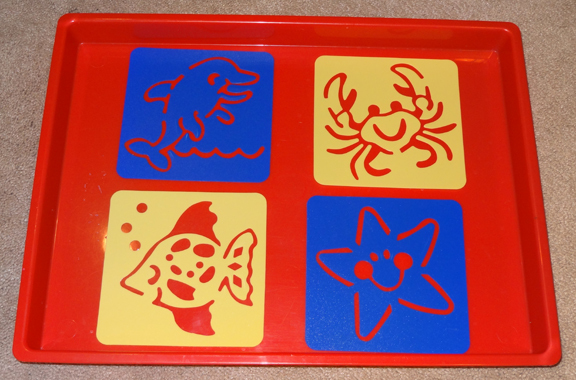 What a great variety of ocean themed trays. I need to pick up some sea glass the next time I’m in the US. 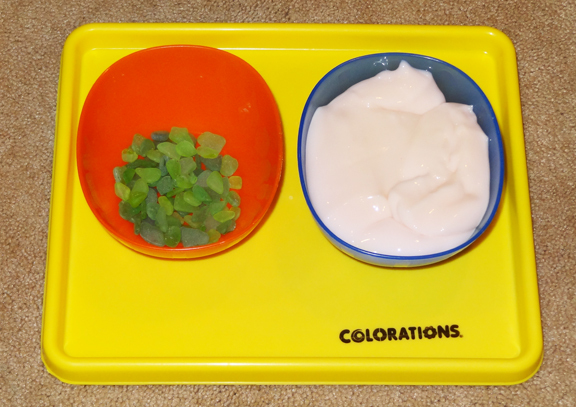 Also, the picture I saw with the sea glass and flubber, I thought it was gummy fish and yogurt. Your kids must have so much fun! Really neat ideas! I love how easy it will be to adapt these activities to fit my son’s 20 month old needs! He loves animals these days, and he’s even started to sort and match pictures. Thanks for the inspiration! 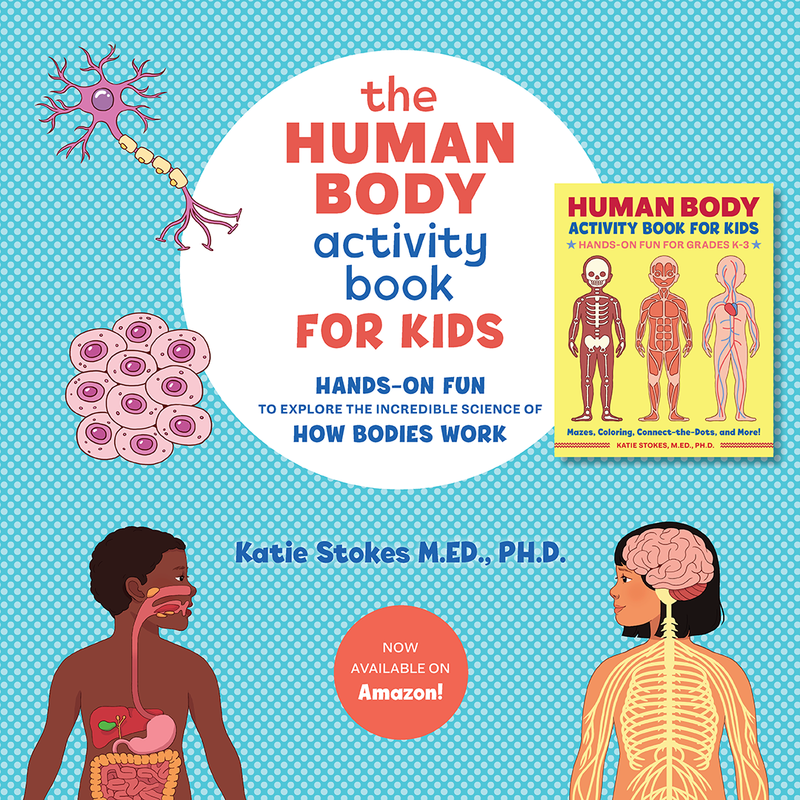 Oh yes, a few of these could probably work – possibly with a little adaptation – even for a 20 month old! Thank you so much! “Feed the fish” is my favorite! Great activities!! Thank you for sharing at Sharing Saturday!! 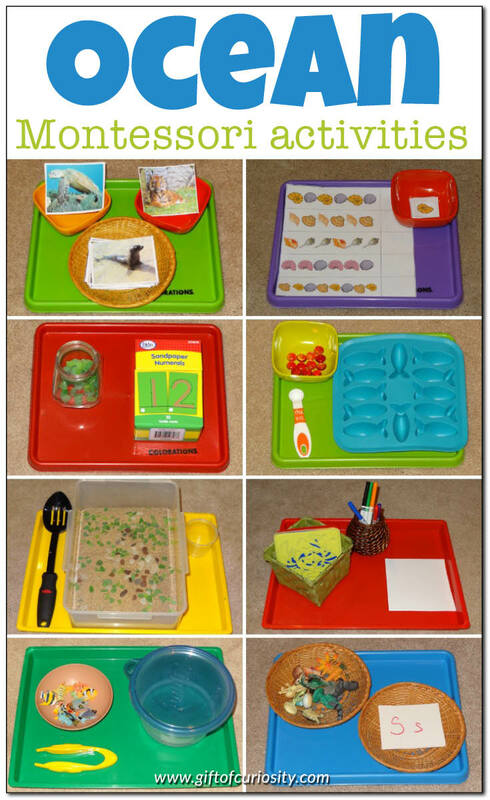 What nicely thought out and set up Montessori trays! I’m going to try some of your ideas during my next ocean-themed unit. 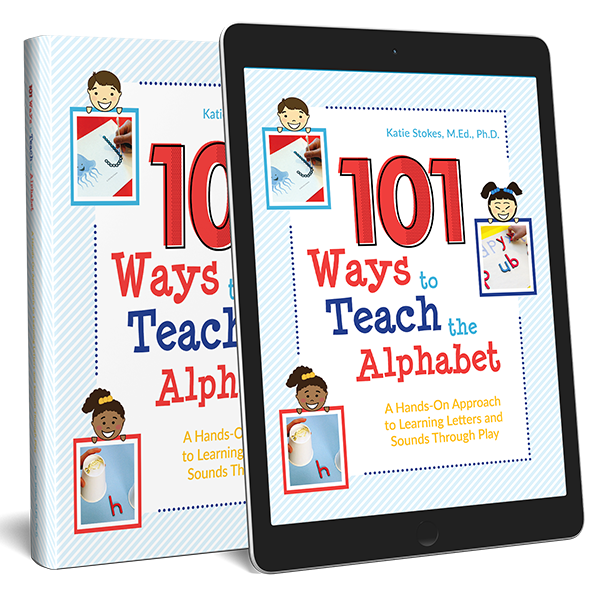 Thanks for linking up at Share It Saturday. I’m featuring you this week! Thanks so much for featuring this post Mary Catherine! 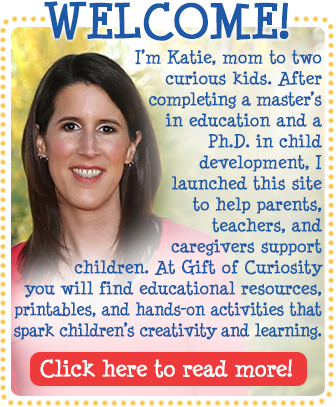 Katie, you are so creative – what a variety of fun, hands-on learning! 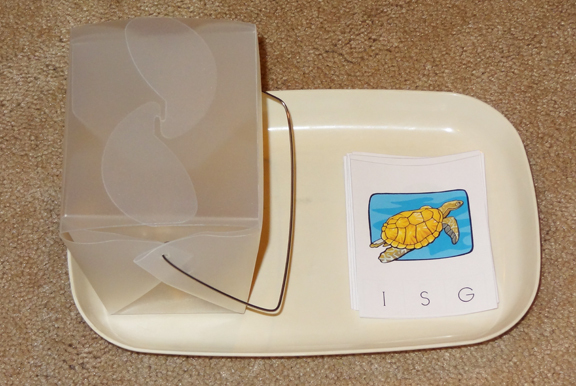 I really like the trays you use but know that Montessori specific trays are rather expensive. Where did you get yours? 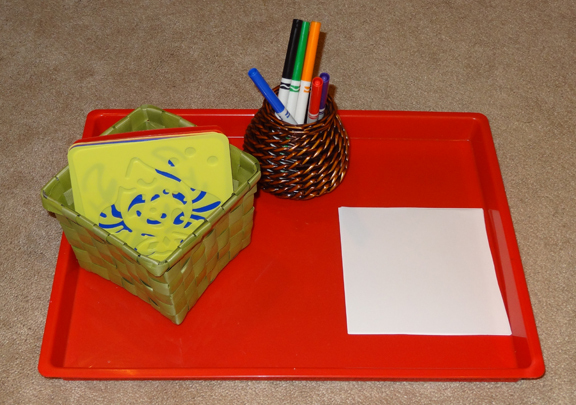 The big ones I use are the Easy Clean Craft Trays from Lakeshore Learning, and I love them! The small ones I use are from Discount School Supply. They are okay, but I don’t *love* them like I love the Lakeshore Learning trays.